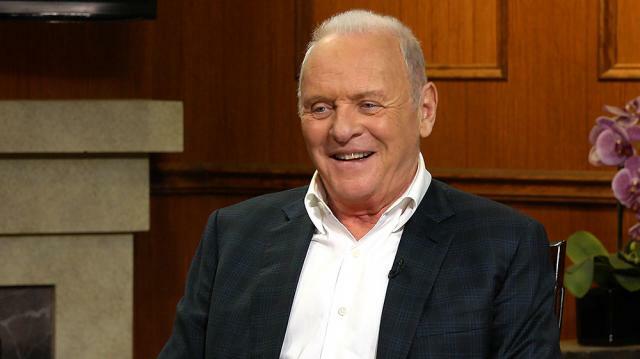 Hollywood legend Sir Anthony Hopkins joins Larry to discuss his new projects – like the highly-anticipated HBO series, ‘Westworld’ – his storied career, and the idea of retirement. “In the theater where ‘TheDresser’ was done, it wasn’t a pain-free experience. That was a drudge.Unlike Sir Ian Mckellen, I wasn’t a good team player. I was a bit of abadass, a bit of a rebel so I didn’t fit into companies very well. Soone day I scooted off and left. I came out to Hollywood and people toldme I sold out. I said, ‘Good. I’m happy living on the beach inMalibu.’”—Sir Anthony Hopkins on his decision to leave the stage for thebig screen. “Financially?No, I just love it. I love being active. I love getting out and doingthings. My wife sometimes worries about me. She thinks I’m getting tooold for this and I say ‘No.’ She also agrees with me- if I stopped I’dgo boom and probably snuff it. I think it’s important to keep working aslong as you can. Just keep going, body and mind.” — Sir Anthony Hopkinson why he keeps acting.